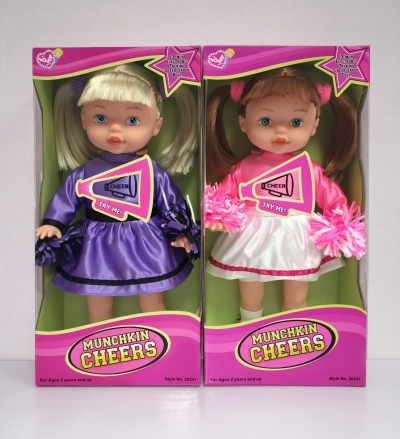 13 Inch Electronic Talking Cheerleader Doll with 5 different Cheers. Activates by pressing chest area. Comes in different assorted outfits with pompoms. Perfect for children 2 years and older.